1. 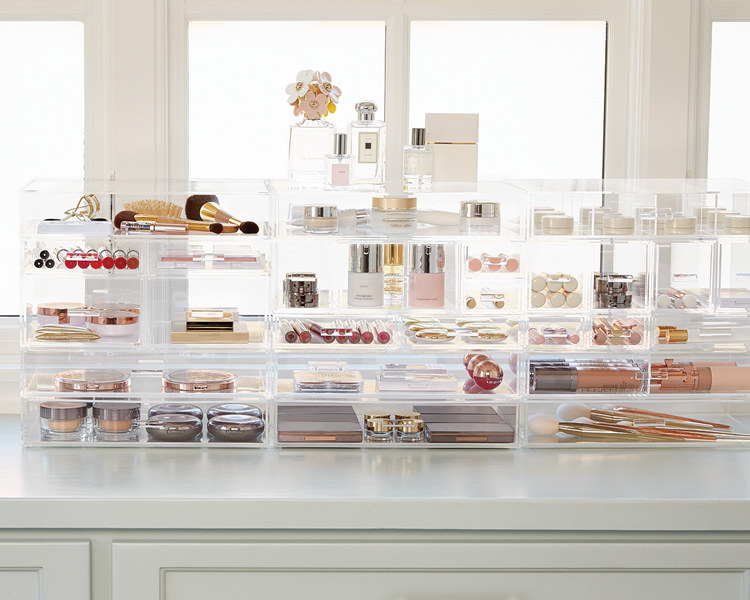 Remodel your makeup area into a beauty vlogger’s dream by investing in an acrylic organizer set. 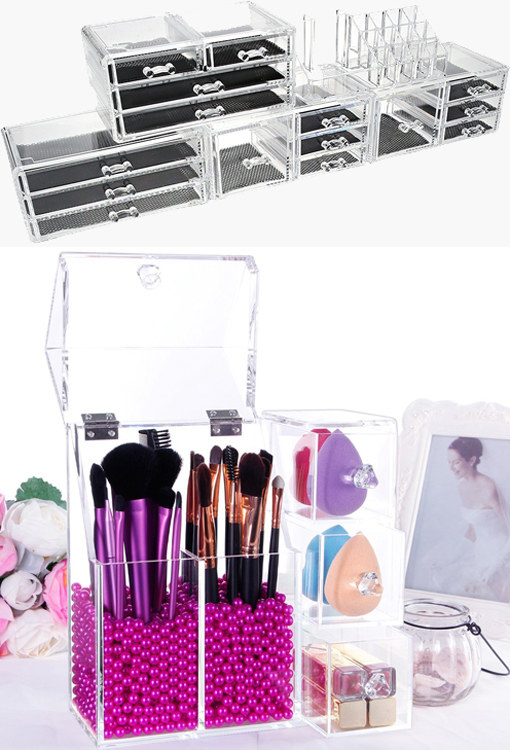 Get the acrylic modular system from Container Store for $11.99+ per drawer, acrylic makeup brush drawer from Amazon for $39.99+, and five-piece acrylic organizer set from Amazon for $47.32. 2. 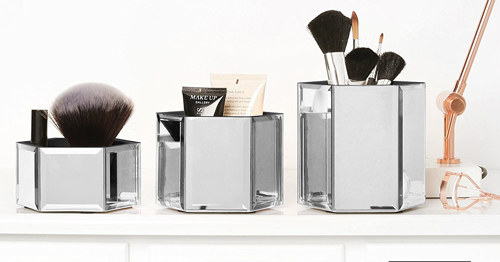 Or ditch your predictable acrylic holders all together for a fierce set of mirrored makeup storage pots. Get the set of three from Amazon for $34.99. 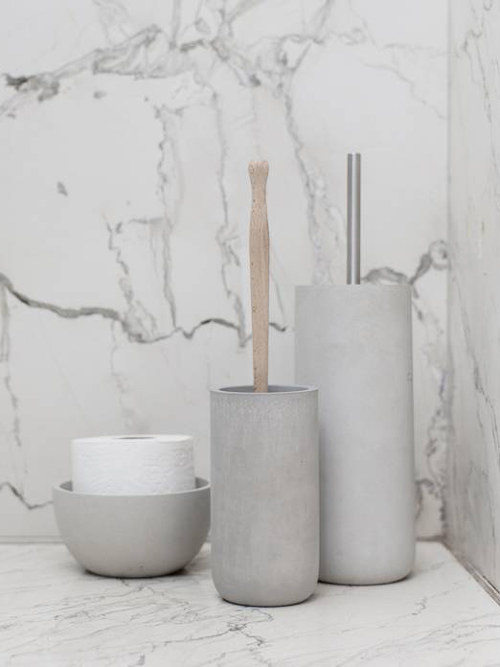 Available in rose gold, smokey grey and mirrored glass. 3. 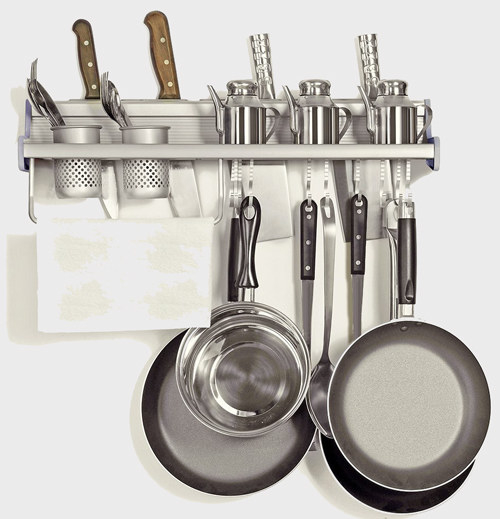 Hang up a gleaming aluminum wall rack to make your cooking tools and pots easy to access. Get it from Amazon or $26.99. 4. 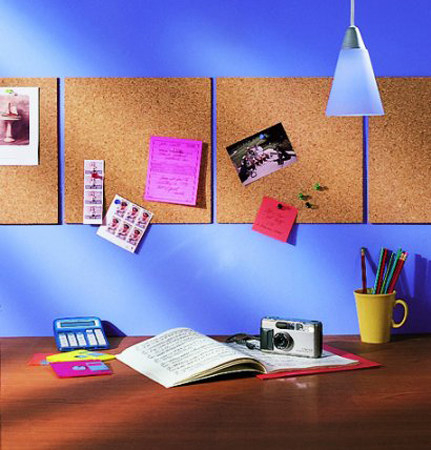 Keep all your important documents and reminders in plain view with the help of a handy corkboard wall. Get a four-pack of cork tiles from Amazon for $5.74. 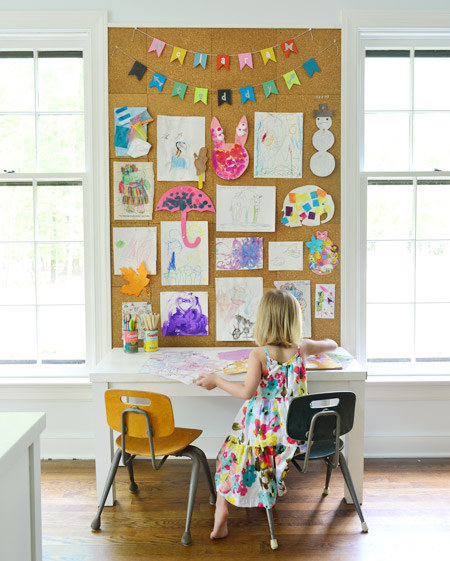 Or you can read a cork board wall DIY tutorial by Young House Love here. 5. 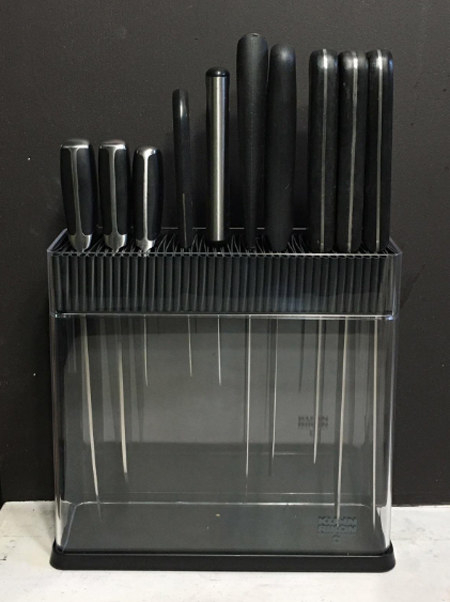 Pull your knives from that cluttered drawer and put them on display in an acrylic knife block. 6. 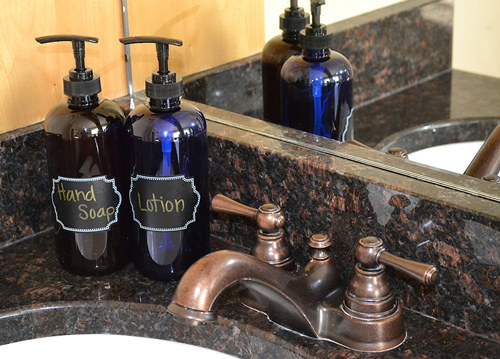 Add a touch of elegance to your bathtub’s edge or shower shelves by replacing your plastic bottles with pretty amber or cobalt pump bottles. Get a six-pack of 8-ounce bottles from Amazon for $17.48+. Available in amber or cobalt. 7. 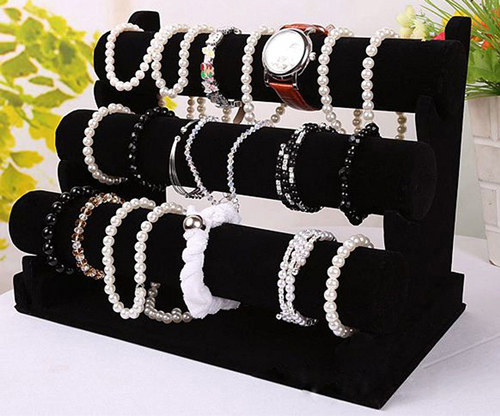 Place your beloved jewelery pieces on a breathtaking bracelet and necklace stand to make your collection look like perfection. 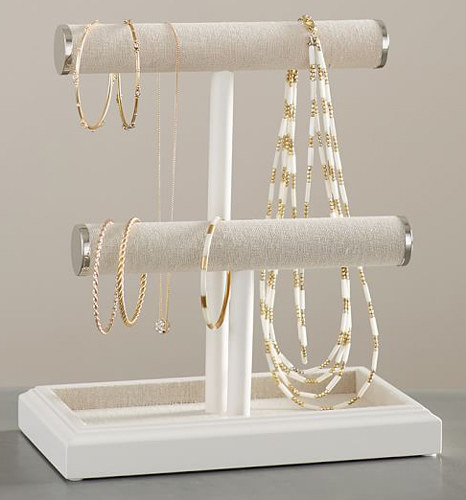 Get the linen and wood jewelry stand from Pottery Barn for $49 and black-velvet jewelry stand from Amazon for $10.50. 8. 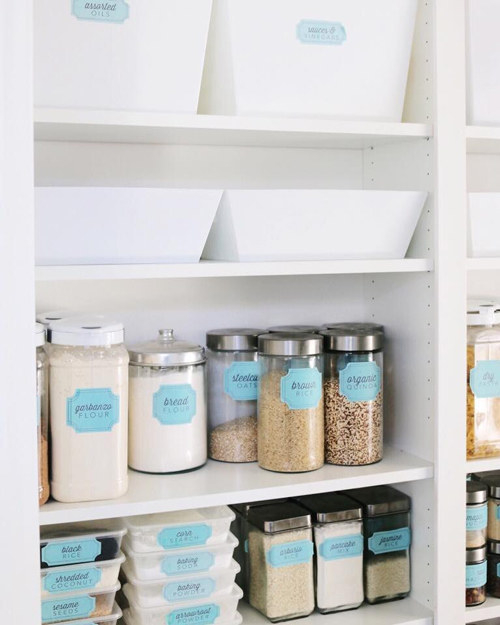 Give your laundry room a mini makeover by adding a laundry sorter made of plastic bins and a metal shelf. 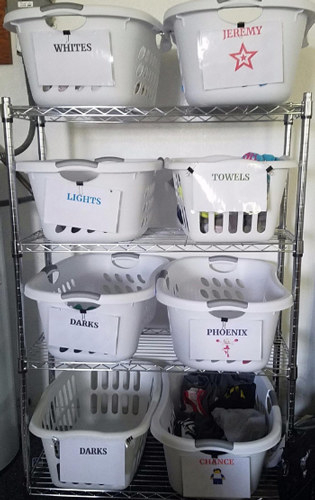 Get them from Amazon: Six-pack of laundry baskets for $37.76 and four-shelf aluminum unit for $48.99. 9. 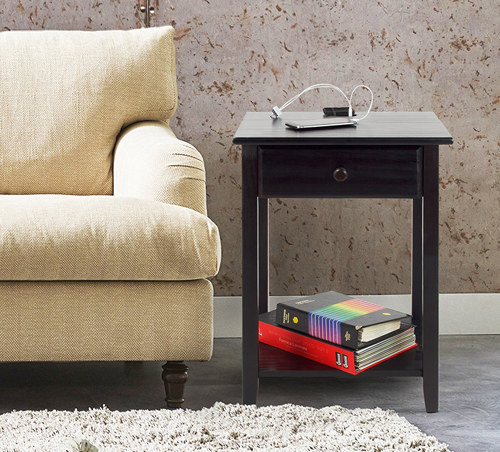 Cut down the cord clutter in your life with an electric end table that includes a built-in charger station. 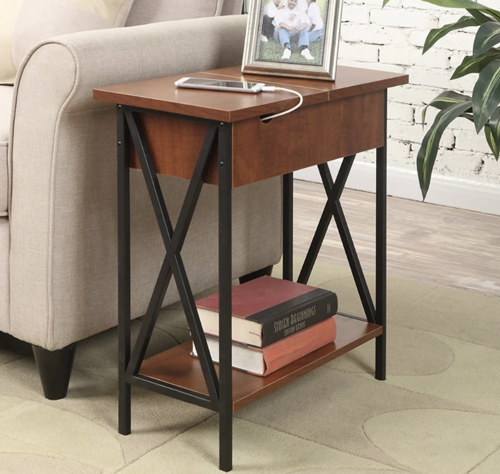 Get the four-port USB charging table from Amazon for $71.31 (available in brown and warm brown), and flip-top charging table from Hayneedle for $72.99 (available in brown and black). 10. 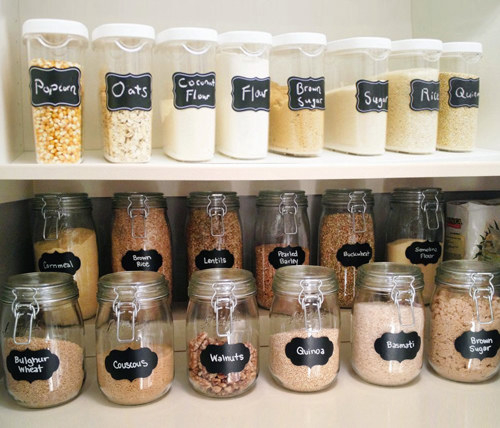 Restore order to your pantry shelves with a set of chalkboard labels you can place on plastic bins, spice bottles, and glass jars. 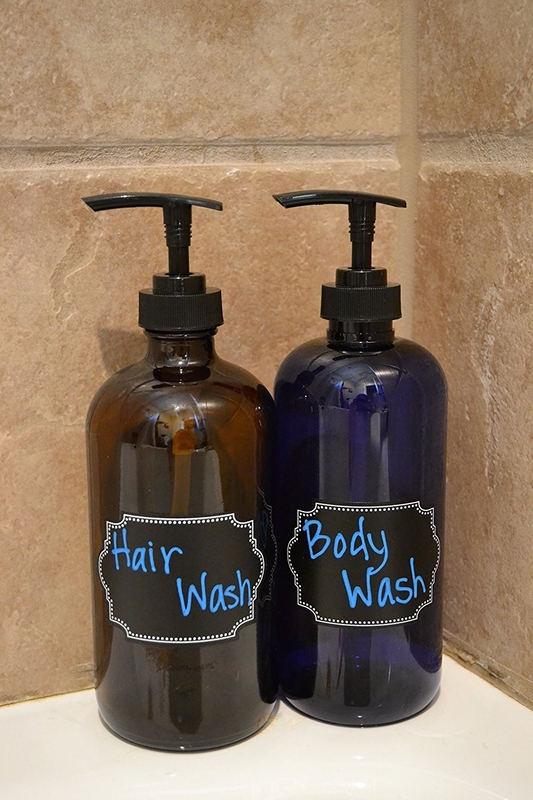 Get an 80-pack of labels from Amazon for $8.95. 11. 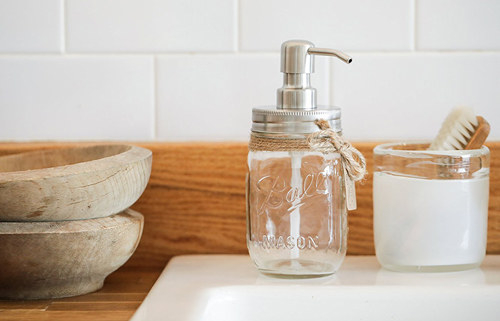 Replace that ugly plastic mouthwash bottle with a glass cruet or mason jar that'll be a lovely addition to your counter. 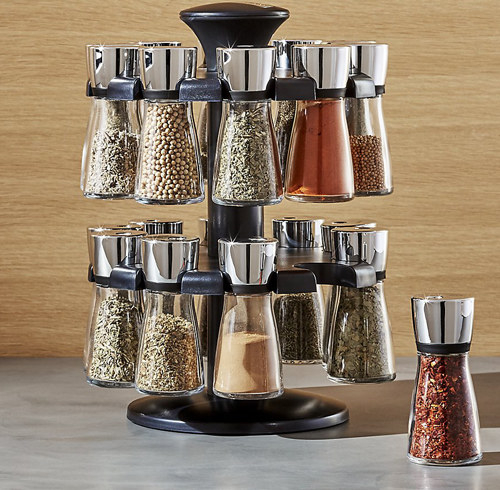 Get them from Amazon: A set of two cruets for $13.54 and a mason jar dispenser for $16.99+. 12. 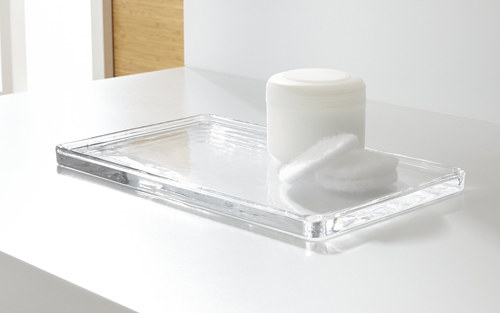 And while you’re at it, wrangle up the rest of those items around your sink and place them on a fuss-free vanity tray. 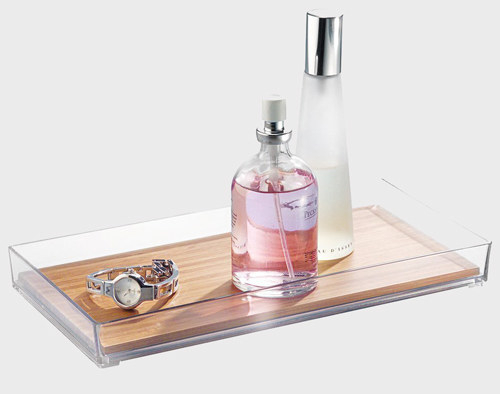 Get the glass vanity tray from Crate & Barrel for $16.95 and the acrylic and bamboo vanity tray from Amazon for $12.58. 13. 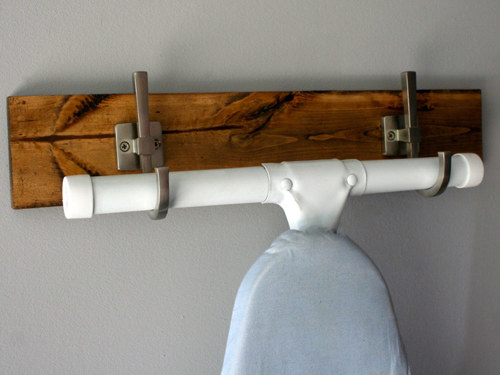 Add a little rustic charm to your laundry room with a handsome ironing board hook. 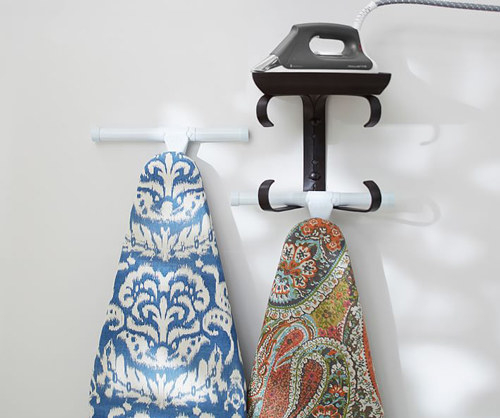 Get the wooden ironing board hook from Wheat State Rustic on Etsy for $35 and metal ironing board hook from Pottery Barn for $58. 14. 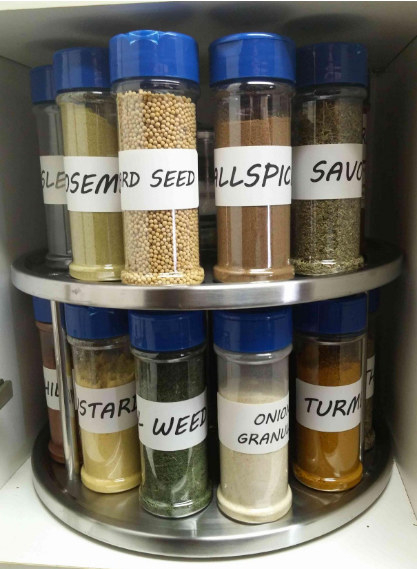 Reach your seasonings with ease by using a lazy Susan spice rack — which can work on a tabletop or in a cabinet. 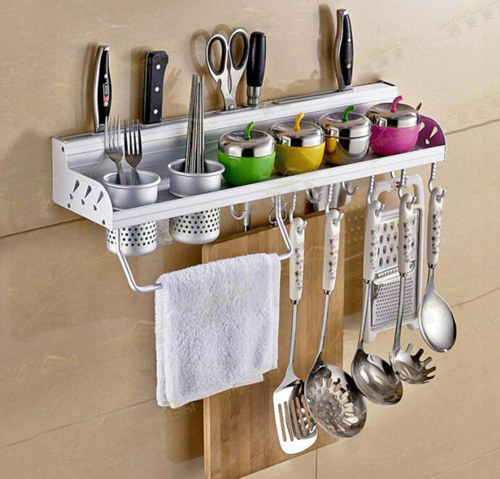 Get the 20-jar rack from Crate & Barrel for $59.99 and two-tier lazy Susan turntable rack from Amazon for $14.87. 15. 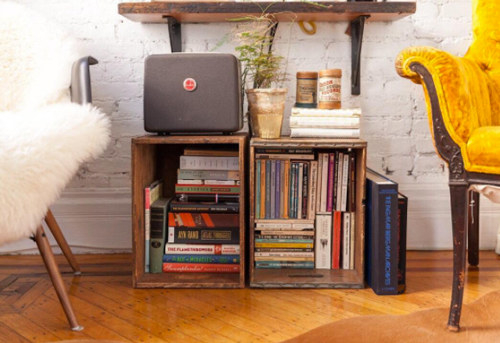 Stack rugged wooden crates to make shelves for storing away magazines, records, and other items. 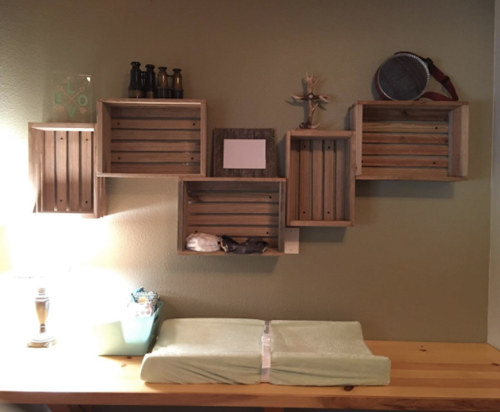 Get them from Amazon: A set off two wooden crates from for $39.99 or set of five wooden crates for $54.95. 16. 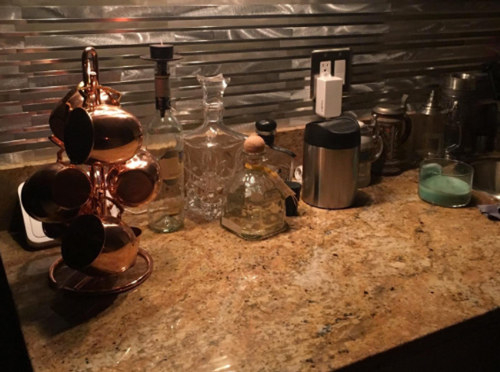 Clear your countertop of your cup collection with a copper mug holder — that really looks stunning when holding a set of Moscow mule cups. Get it from Amazon for $14.99. 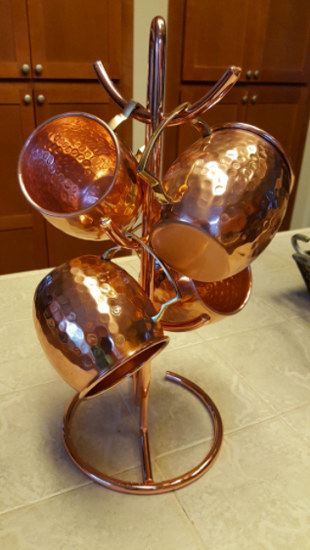 Available in copper and chrome. 17. 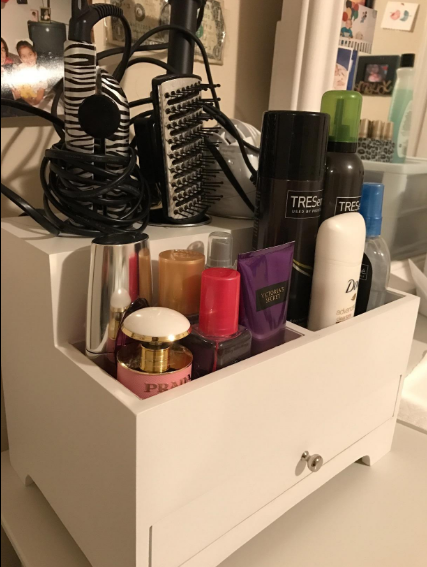 Keep your flatirons and other hair styling tools organized by sitting them in a gorgeous beauty chest or printed magazine file. 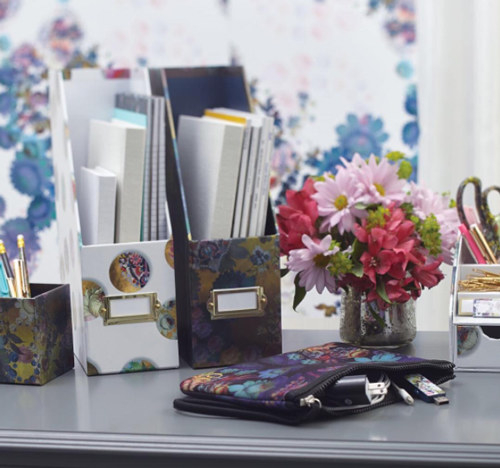 Get the beauty chest from Amazon for $36.62 and the file box from Staples for $7.49+ (available in Black Floral and Floral Dot). 18. 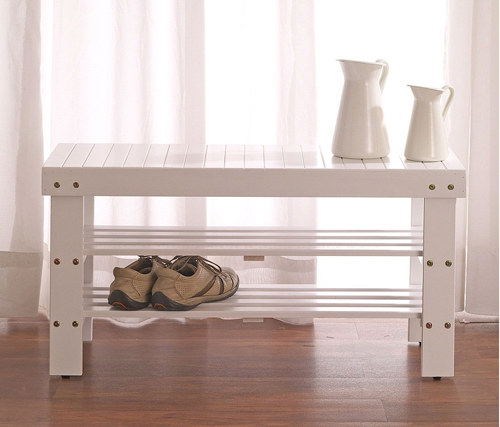 Snag a space-saving shoe cabinet or bench to help you avoid an annoying hunt for missing kicks. 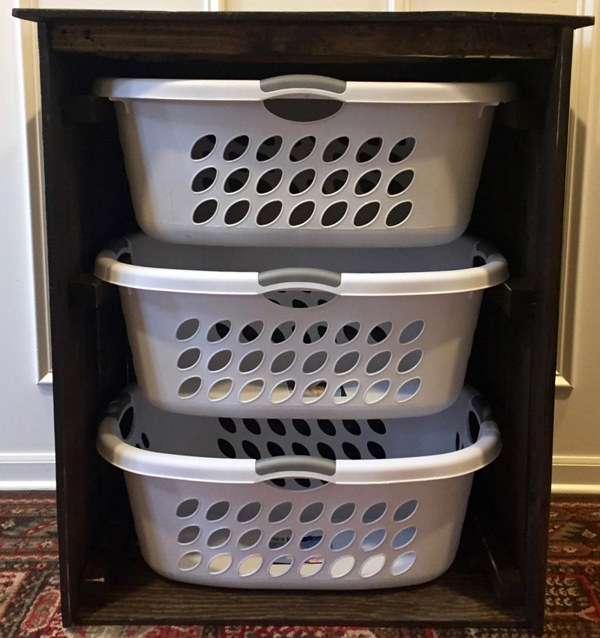 Get them from Wayfair: Shoe cabinet for $75.99 and shoe bench for $49.28. 19. 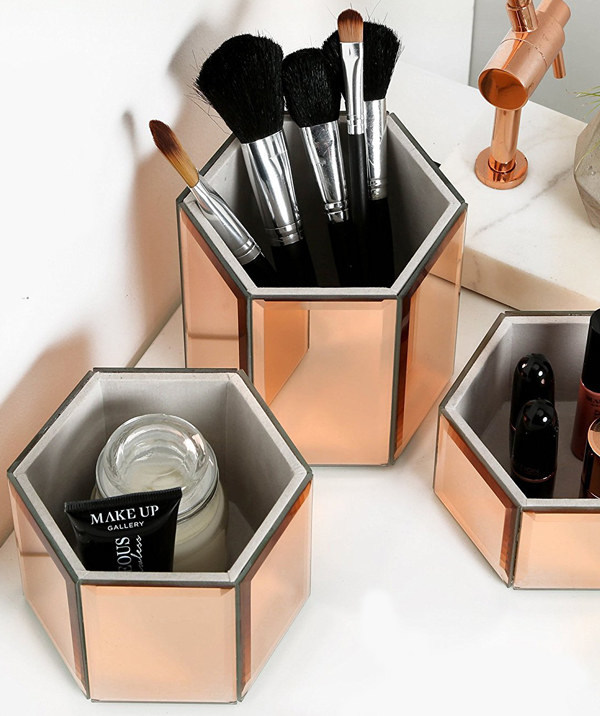 You can really mix things up with a stylish magnetic makeup storage frame that will free up more space on your vanity or countertop. Get it from Maggie Board on Etsy for $44. 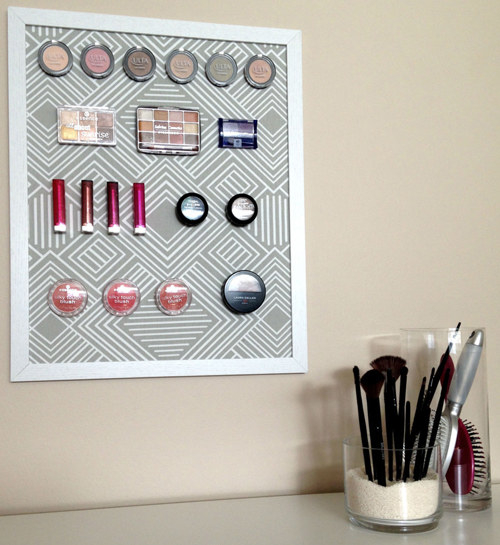 Or read a makeup magnet board DIY tutorial by Laura Thoughts 81 here. 20. 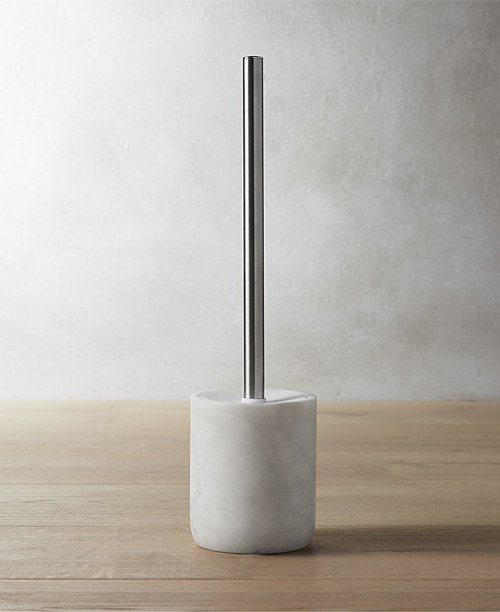 Hide that gross toilet bowl brush in an unexpected way using a minimal marble brush holder. 21. 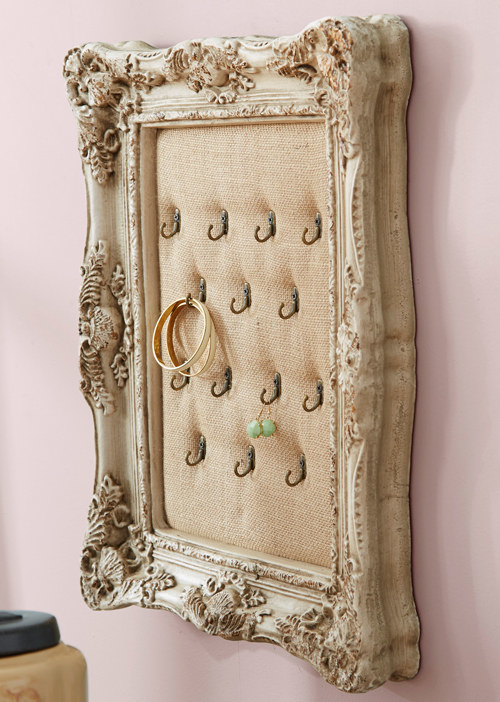 Dress up your room with a wall-mounted jewelry holder, which will make your necklaces, earrings, and rings pieces of art. 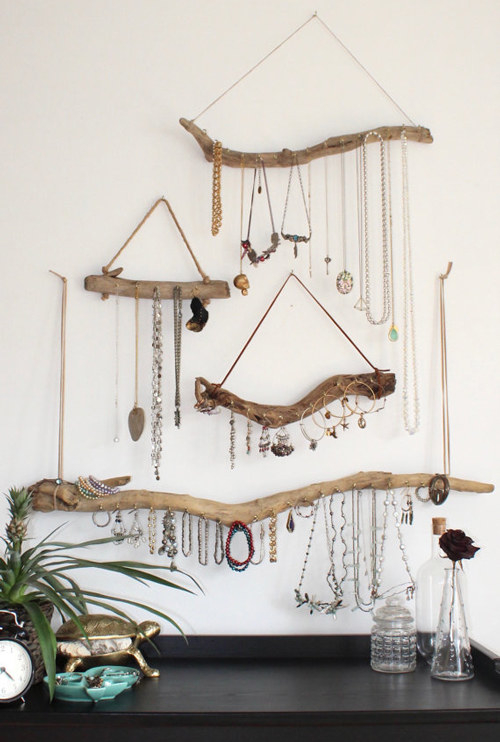 Get the framed wall-mounted jewelery holder from Wayfair for $82.99 and driftwood hanging organizer from Curiographer on Etsy for $24.95+. 22. 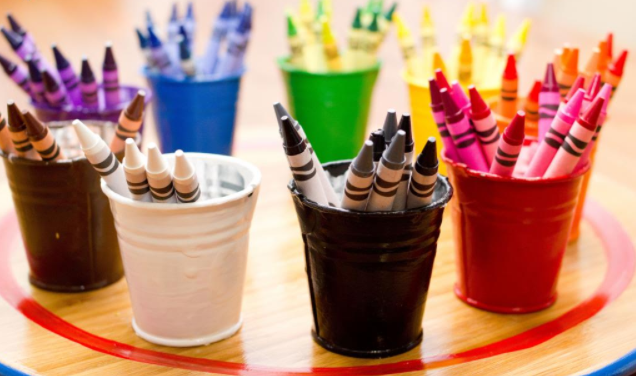 Make sure your little ones can find just what color crayon they need with a vibrant crayon sorter they can carry all around your home. 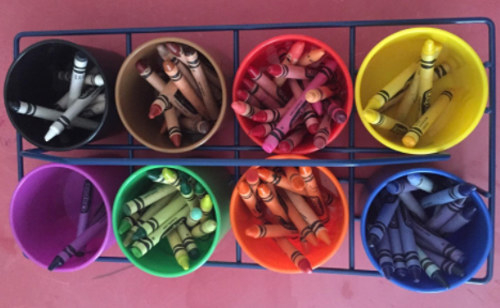 Or read a crayon sorter DIY tutorial by My Life of Travels and Adventures here. 23. 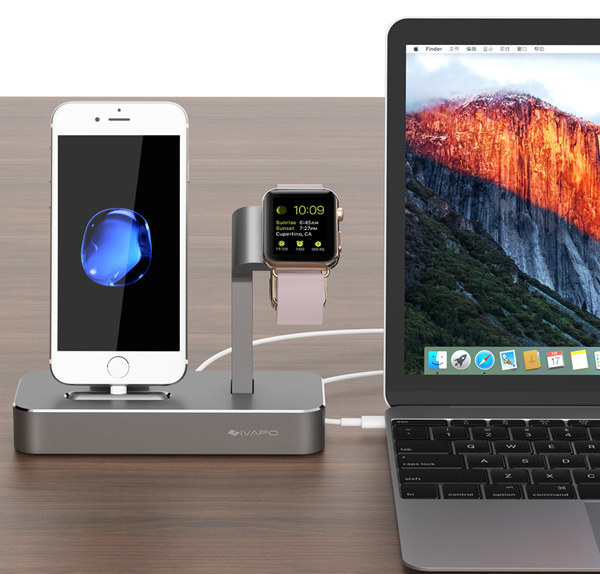 Keep your iPhone and Apple Watch by your side at night with a sleek aluminum charging stand — which you can match with your phone’s color. 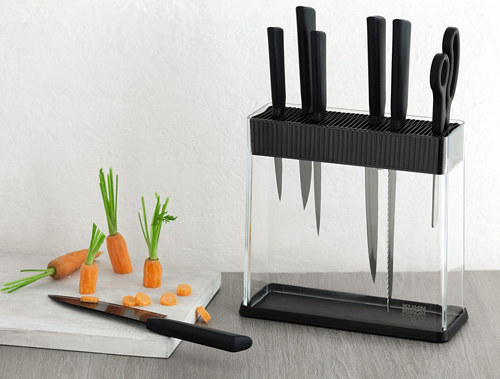 Get it from Amazon for $35.99. 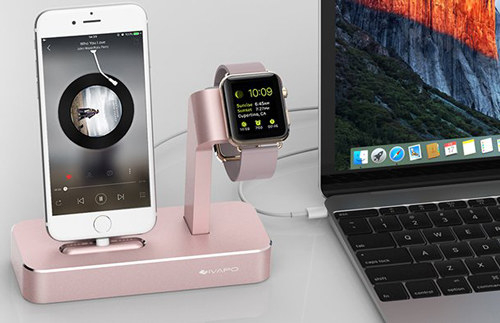 Available in light silver, rose gold, and space gray. 24. 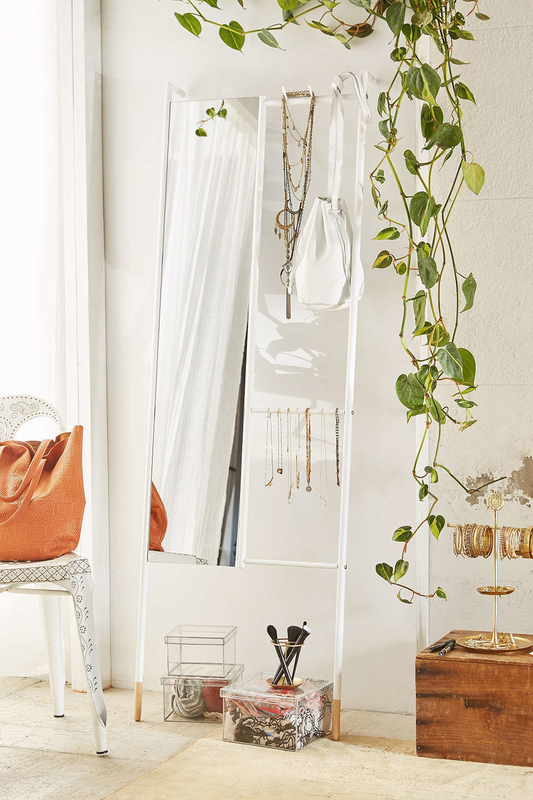 Invest in a floor mirror with shelving or hooks to gain additional space to store away items like scarves and shoes. 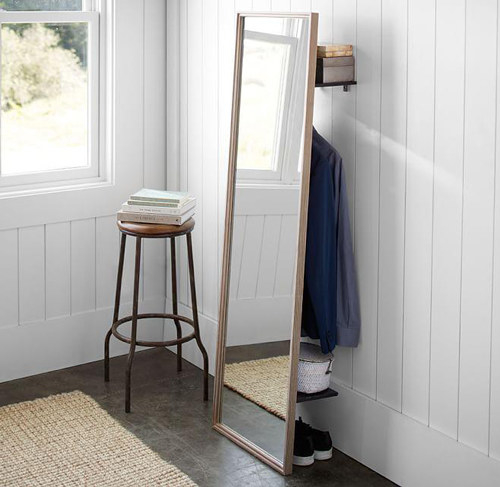 Get the clothing rack mirror from Pottery Barn for $159 and leaning floor mirror from Urban Outfitters for $139. 25. 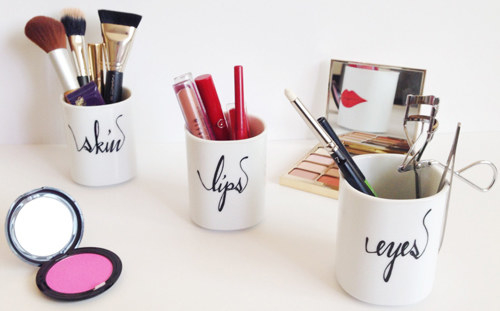 If want a chic storage option that's also extremely affordable, you can place your beauty goodies in a simple monogrammed mug. 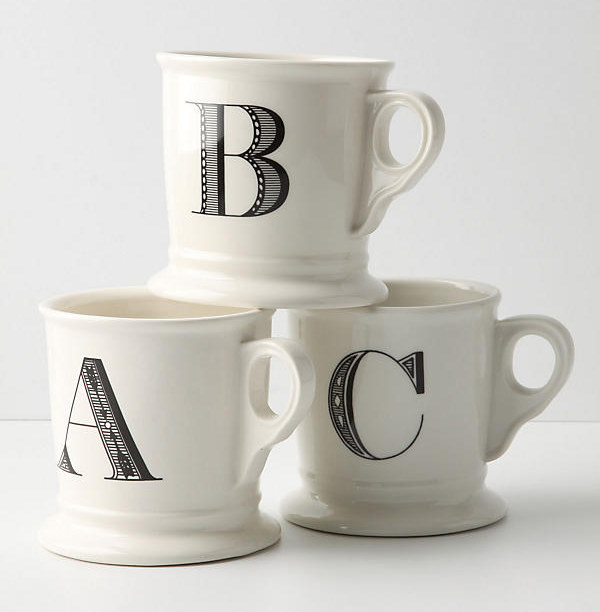 Get the hand-painted Lips, Eyes, and Skin mugs from Meku on Etsy for $24 each and monogram mug from Anthropologie for $8 (available in black and gold). 26. 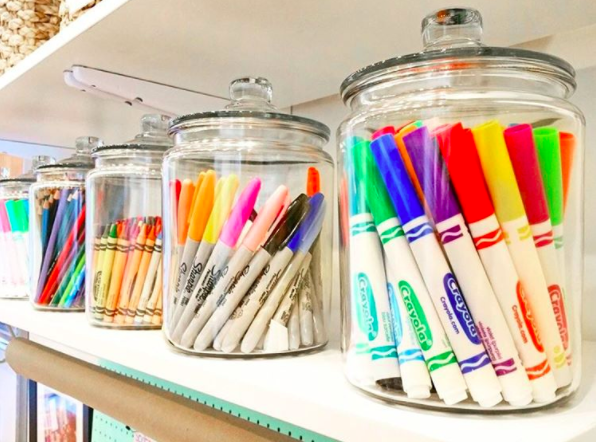 Store crafting supplies inside one-gallon glass jars for a pretty and efficient way to bring order to your studio or playroom. 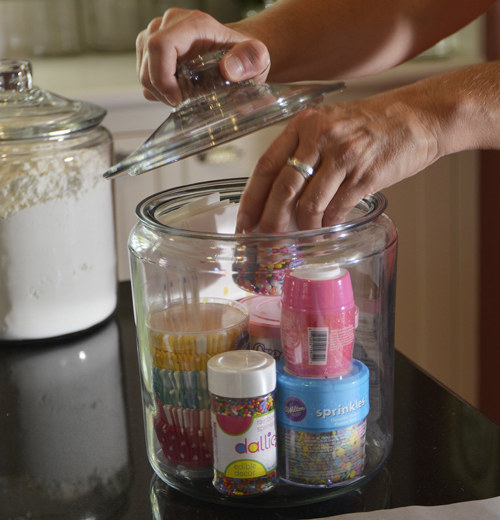 Get a set of two one-gallon glass jars from Amazon for $32.23. 27. 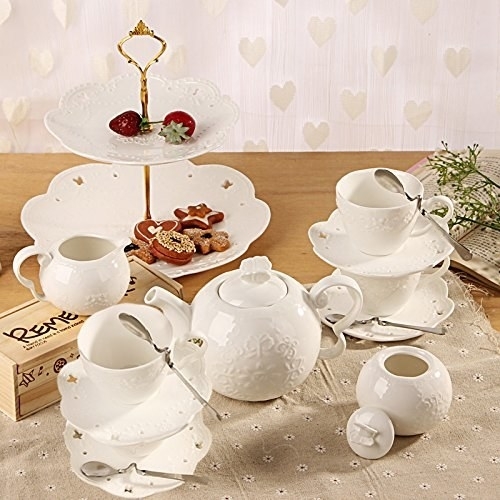 Tuck away your cotton balls, cotton swabs, and other beauty necessities inside the teapot, creamer pot, and sugar bowl of a beautiful ceramic tea set. 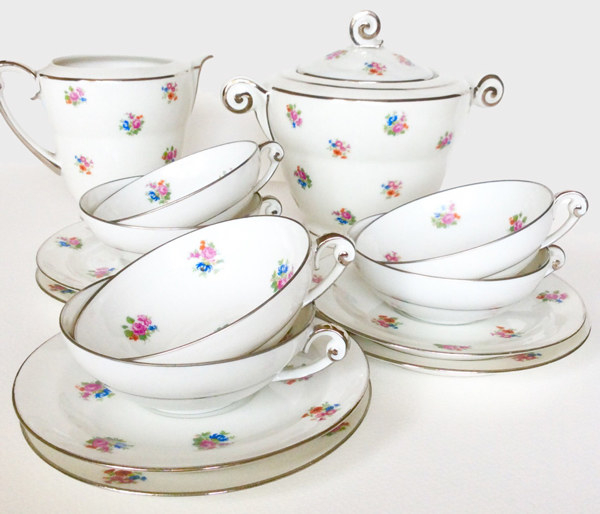 Get the 16-piece tea set from Amazon for $55.99. 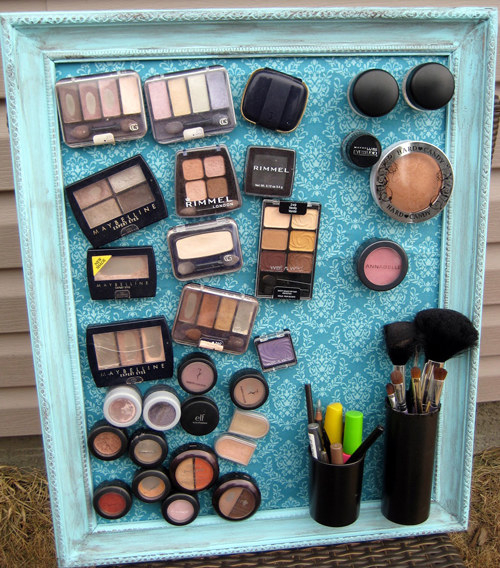 Or read a vintage tea set makeup storage DIY tutorial by Kelly Elko here. 28. 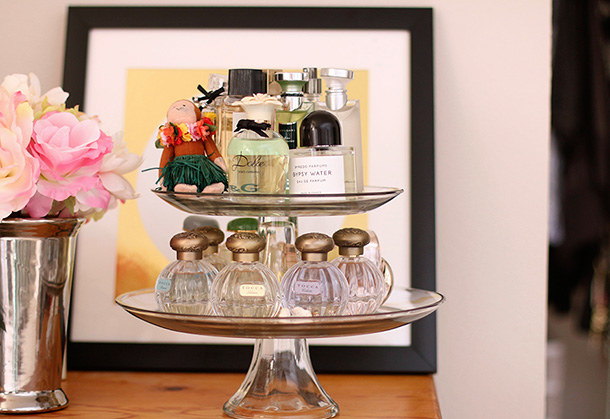 Use the tea set's cake stand as a display for your fragrances. 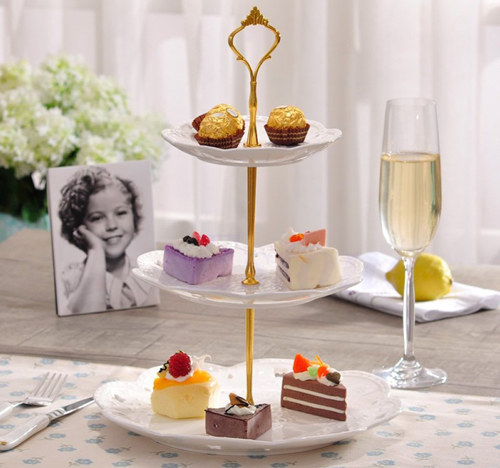 Get the 16-piece tea set from Amazon for $55.99 and an individual porcelain cake stand from Amazon for $24.99. 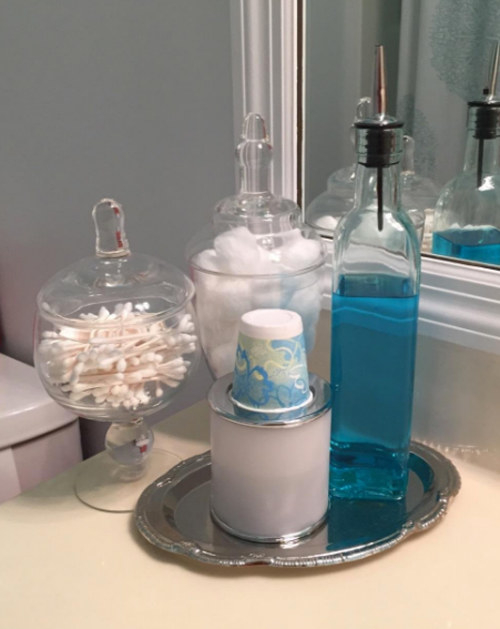 Or read a cake stand fragrance display DIY tutorial by Makeup & Beauty Blog here. 29. 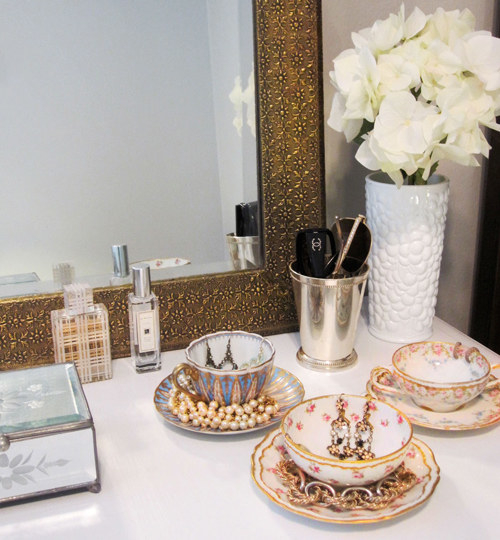 And put the leftover teacups and saucers to work as super chic holders for necklaces, earrings, and bracelets. 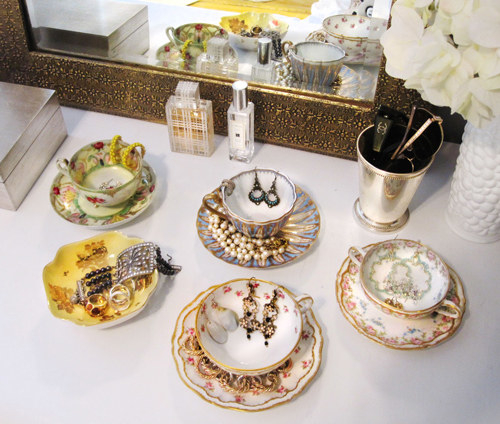 Or read a teacup jewelry holder DIY tutorial by Alaina K here. Now your house will be the prettiest of them all.